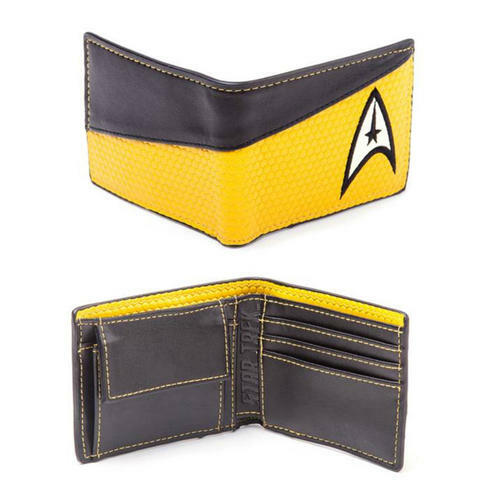 Wallet based on the yellow command uniform design with Starfleet insignia from the ever popular sci-fi series. Inside are note and card slots and a coin pocket. Officially licensed. 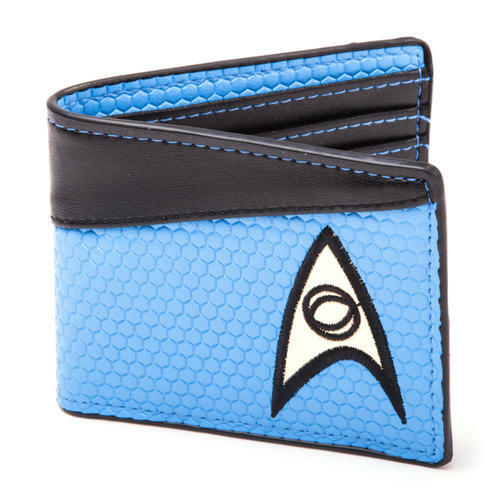 Wallet based on the blue science uniform design with Starfleet insignia from the ever popular sci-fi series. Inside are note and card slots and a coin pocket. Officially licensed. 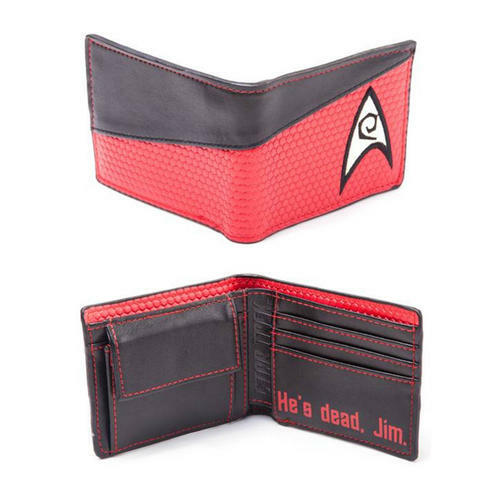 Wallet based on the red engineering uniform design with Starfleet insignia from the ever popular sci-fi series. Inside are note and card slots and a coin pocket. Officially licensed. 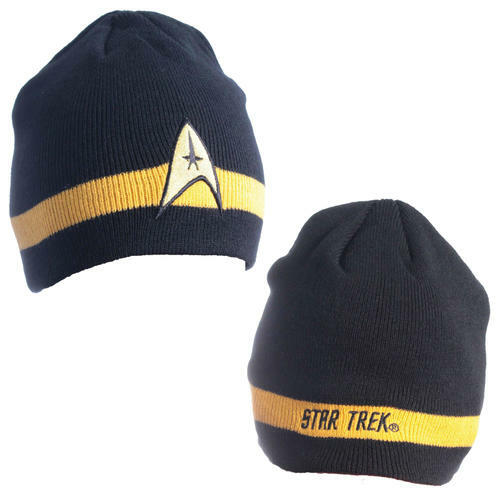 Soft and comfortable Beanie featuring a high quality embroidered Starfleet insignia and text on a yellow command design. Officially licensed. 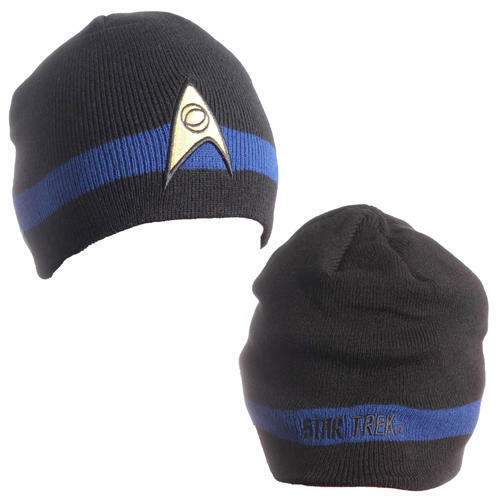 Soft and comfortable Beanie featuring a high quality embroidered Starfleet insignia and text on a blue science design. Officially licensed. 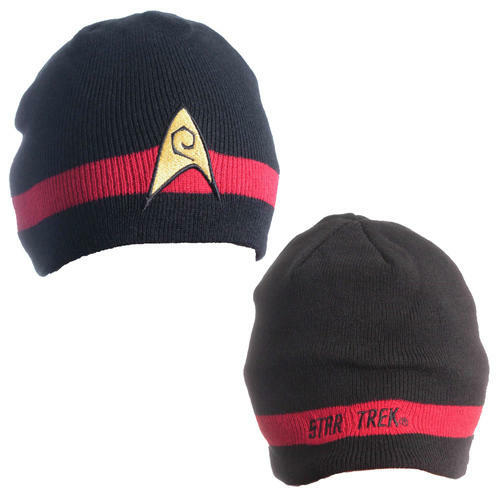 Soft and comfortable Beanie featuring a high quality embroidered Starfleet insignia and text on a red engineering design. Officially licensed. 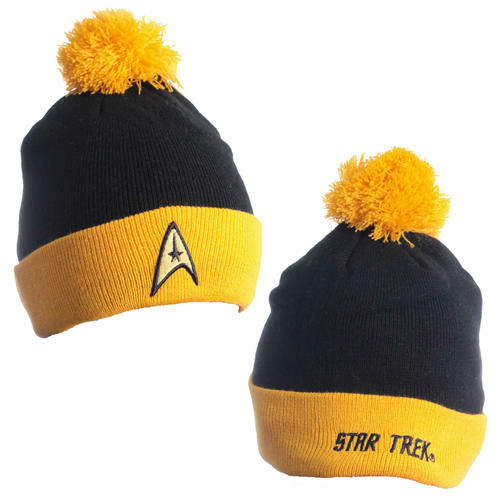 Soft and comfortable Bobble Hat Beanie featuring a high quality embroidered Starfleet insignia and text on a yellow command design. Officially licensed. 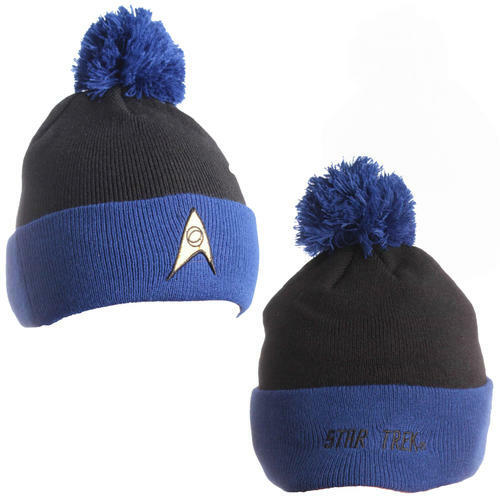 Soft and comfortable Bobble Hat Beanie featuring a high quality embroidered Starfleet insignia and text on a blue science design. Officially licensed. 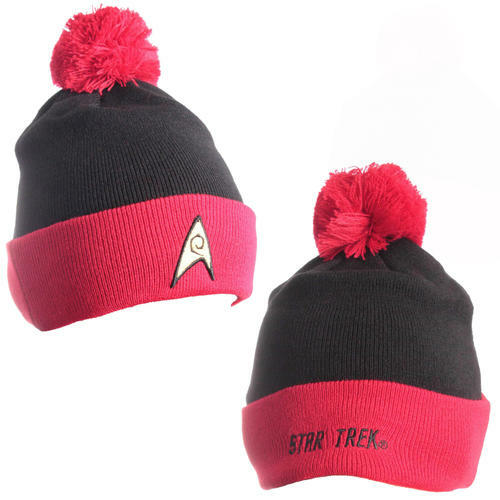 Soft and comfortable Bobble Hat Beanie featuring a high quality embroidered Starfleet insignia and text on a red engineering design. Officially licensed.